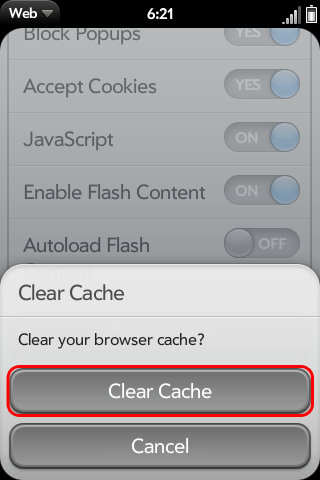 This document explains how to clear the cache and cookies on HP webOS 2.x devices such as the Pre 2, Pre 3, Veer, and Touchpad. 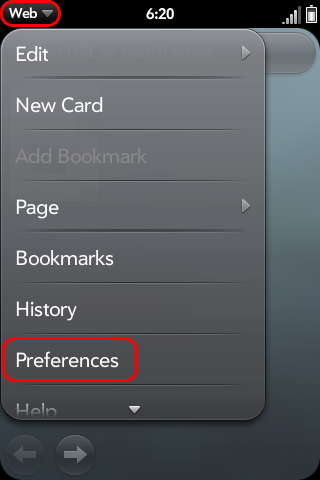 Launch the Web app by tapping it. Swipe down or tap Web in the upper-left hand corner, then tap Preferences. Scroll to the bottom and tap the Clear Cookies button. 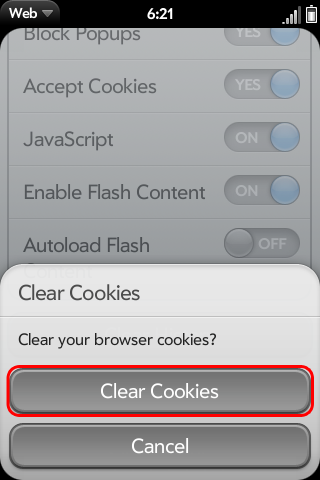 Tap the Clear Cookies button. Scroll to the bottom and tap the Clear Cache button.